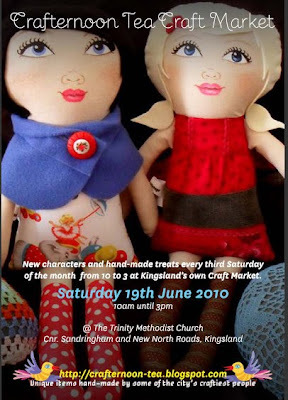 I have a stall at Crafternoon Tea tomorrow, Saturday 19th of June, from 10am-3pm at the Trinity Methodist Church - which is on the corner of Sandringham and New North Roads in Kingsland. and I made a start on some very cute bunting which may or may not get finished tonight. 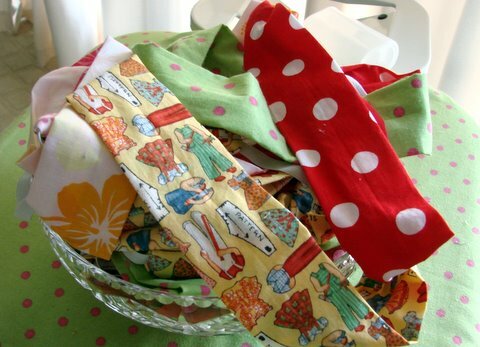 I'll have all my usual goodies for sale including lots of Tape Measure Rose brooches and some new teacup teatowels. 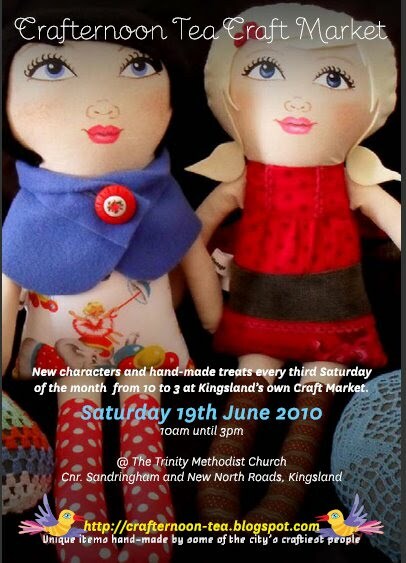 Uh oh craft books! That is so dangerous... no one tell my husband!!! Might be spending a bit of time ( and money) by your table, Sarah! I wish I could go, you've got some great stuff there. 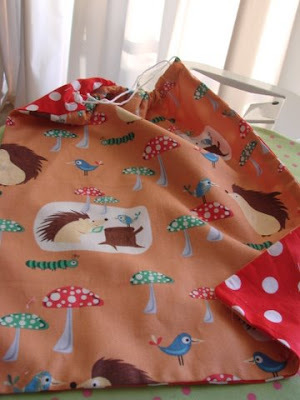 you can never have too many craft books, and that hedgehog fabric is so cute!! 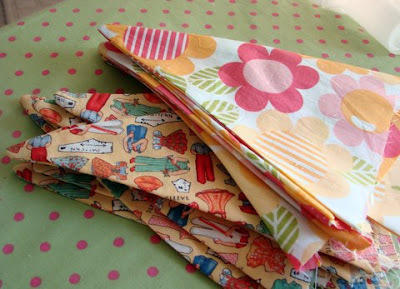 The flowered fabric on the bunting will haunt my dreams, Sarah...hope it's a great market!